Okay so just a little one today because I’m actually starting my volunteer placement which I’m really excited about! I know I’m trying not to buy too many things at the moment while I’m working at using up what I already have but over the last couple of weeks I’ve picked up a few bits that have really intrigued me and that I Know I will use/ are missing from my collection. 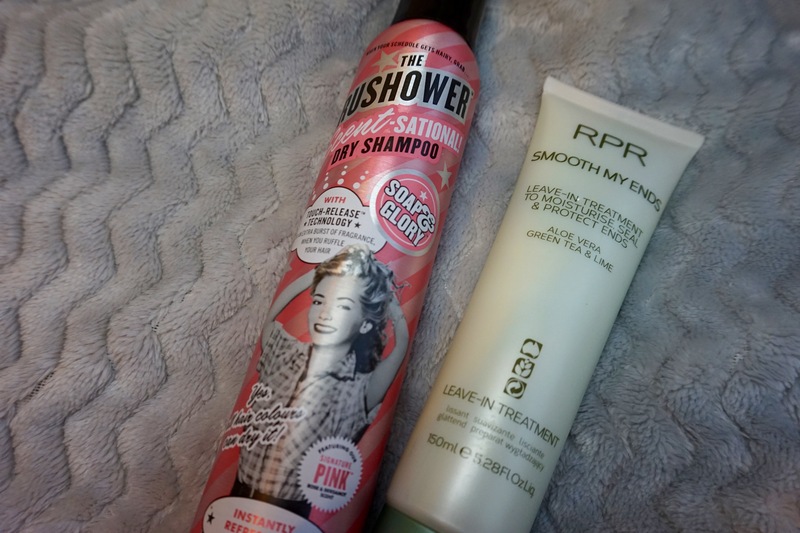 First up is the highly anticipated Soap & Glory The Rushshower Scent- Sational Dry Shampoo which is available in sizes 200ml (£4) and a travel friendly 50ml (£2.50). 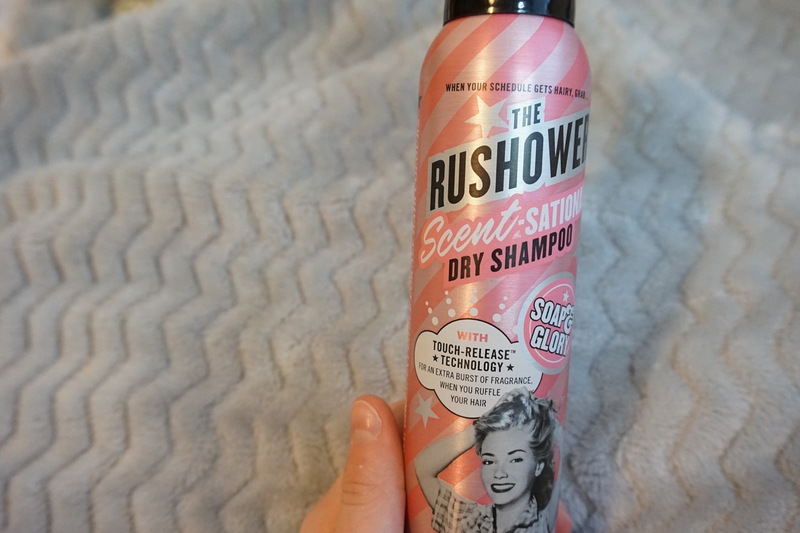 I was eager to try this because I find my current Batiste Dry Shampoo a little bit heavy at times and obviously because I’m down for anything Soap &Glory. On first impressions I like this, it has the ‘original’ Rose and Bergamot S&G scent which I love and isn’t too strong. Okay next good thing is it doesn’t leave you with white powdery roots, which I find irritating enough as a blonde so I can’t imagine the hassle it causes people with any other hair colour. I’m also pretty certain this succeeded in putting a lot of oomph into my hair as well because it has a tendency to look flat at the roots because its so long and therefore heavy. So on first impressions this stuff is good and although £4 may seem expensive for a dry shampoo for some its no-where near salon prices and you get that signature scent. Next another haircare product which is weird for me cos I’m a shampoo, Conditioner and thats it kind of gal. I spotted this on the haircare aisle at work and treated myself to it using my Boots Advantage Card points. 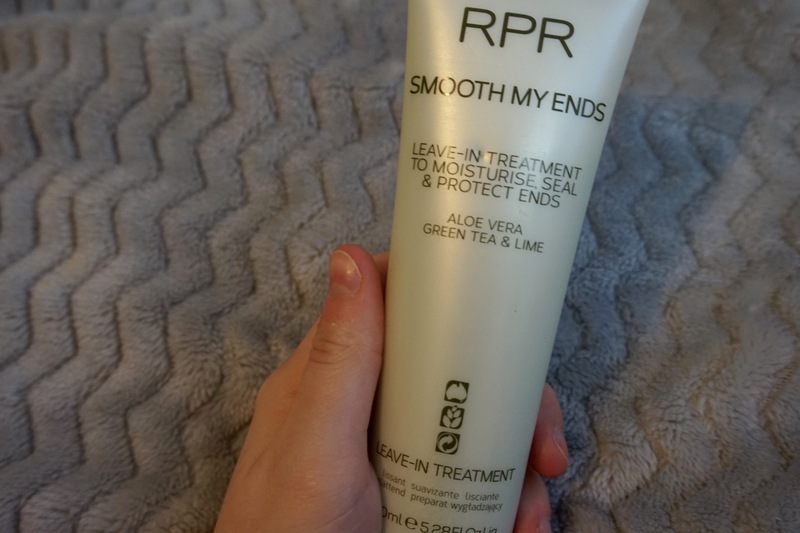 The RPR Smooth My Ends Leave- in Treatment 150ml(£14.50) intends to give your ends an intense treatment to stop them looking so dry and limp. I don’t own a hair mask and this brand do not test on animals so I though this would be a good place to start. I tried it a few days ago and I did like it, it smells like Aloe Vera so not too overpowering and as you can leave this in it doesn’t leave your hair greasy. I applied this after my shower to damp mid-lengths and ends and then because I couldn’t wait all day I ended up drying my hair instead of leaving it to dry naturally. I could tell a difference immediately and my hair looked a lot healthier after only one use so I’m really keen to see what a few more uses can do. I’m guessing you should only use this once or twice a week so I shall have to see. So moving away from the Haircare and onto skincare now, a couple of weeks ago I did a cheeky The Body Shop order with 40% and a picked up 3 items. 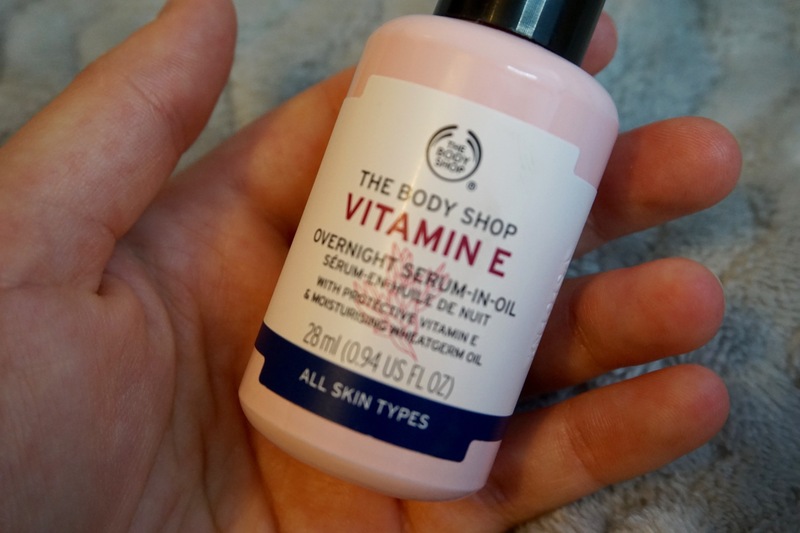 Alongside the Camomile Cleanser and Himalayan Charcoal Glow Mask I grabbed myself the Vitamin E Overnight Serum- in- oil. Now I know this one isn’t technically new but it’s new to me and probably many of you. Let me explain, you apply the smallest amount of this at night before your moisturiser and then go to sleep, by the next morning your face is so soft I cannot even explain. This is the first serum/ oil I’ve ever used and I’ve been really impressed, it doesn’t linger in the morning to make your face greasy it just makes your face soft and hydrated. 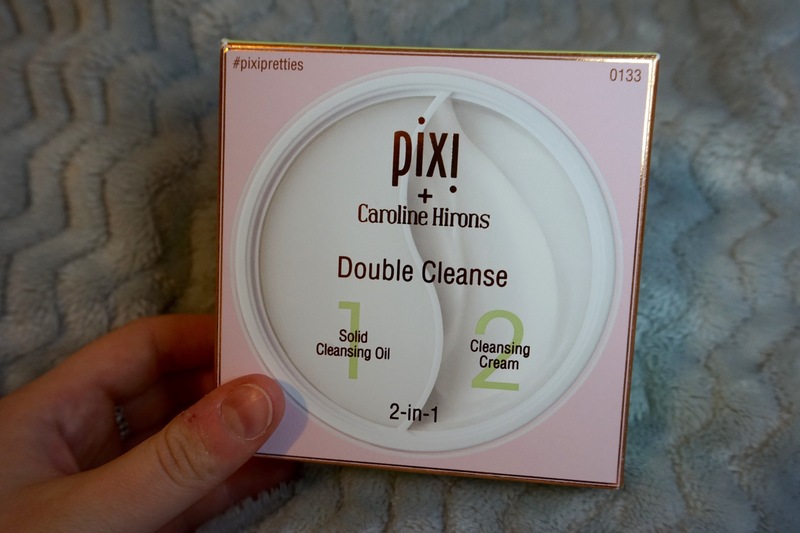 Finally and this is the one I’m most excited about, is the Pixi + Caroline Hirons Double Cleanse 100ml (£24). Another one for the evening, this comes with a solid cleansing balm to remove makeup and then for step 2 a cream cleanser to make sure your skin is squeaky clean and moisturised. 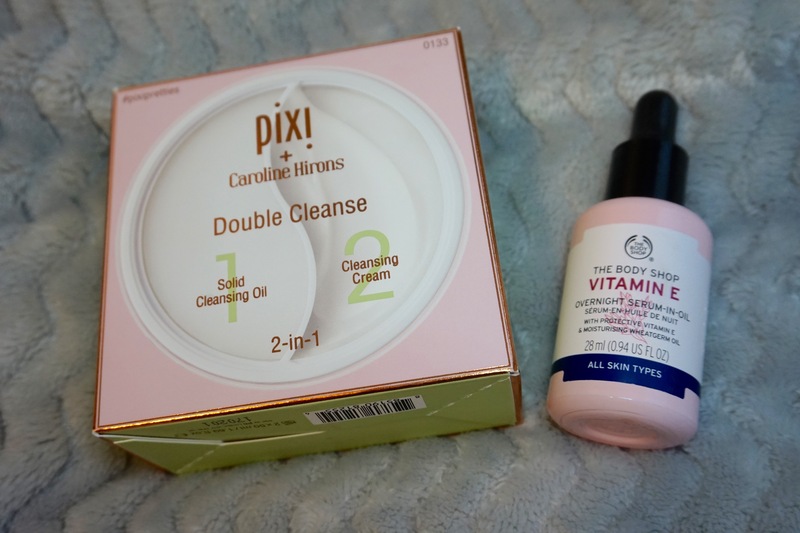 Now I haven’t tried this one out yet, I’m waiting until I’ve finished my Sukin Cleanser up and then I’ll give this a go, but knowing me it will quickly turn up in a favourites post. 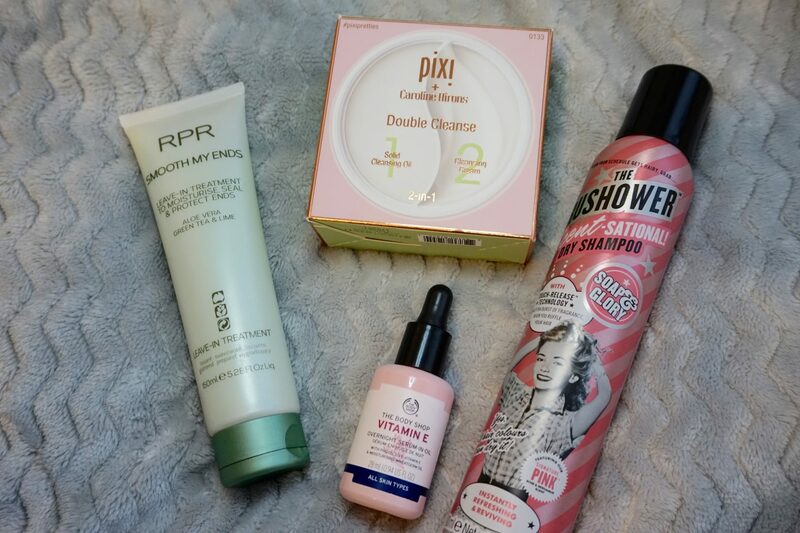 Let me know if you have any thoughts on any of these products or if you have any recommendations you think I would like in the comments section. Previous Post I Finished 2nd Year! Next Post Too Much Spare Time?